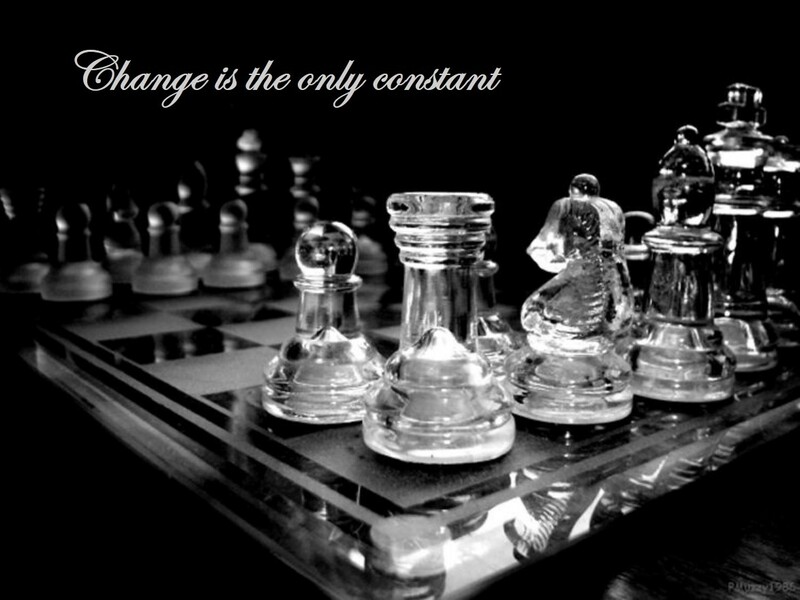 Change is the only constant: A "Lucena" with a Rook-pawn!? Well I promised that we will advance beyond basic rook endgames and look at more complex position. The problem is, the theory of rook endgames is just so vast and numerous I possibly can't finish going through all of them within a few posts. But even if we can't finish, surely we must start somewhere right? And of course we know that in order for White to win, the weaker side's king must be cut off by at least one file from the enemy pawn. 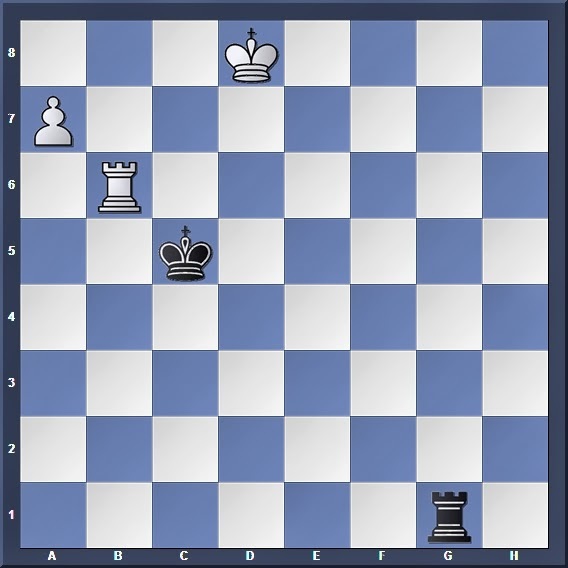 For example if the Black king in the earlier position were on d6 and White's rook on c2, then Black's king makes contact with the opposing pawn and White cannot win. But also note that this one-file rule only applies if the pawn is a centre, bishop or knight pawn. 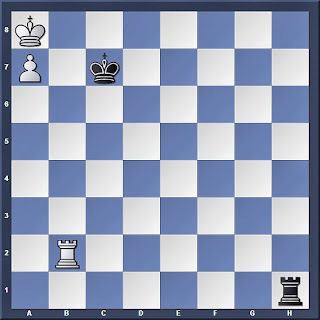 If the pawn is a rook pawn, then the "Lucena" Position is a win only if the weaker side's king is cut off from the enemy pawn by four or more files! Draw no matter who to move! 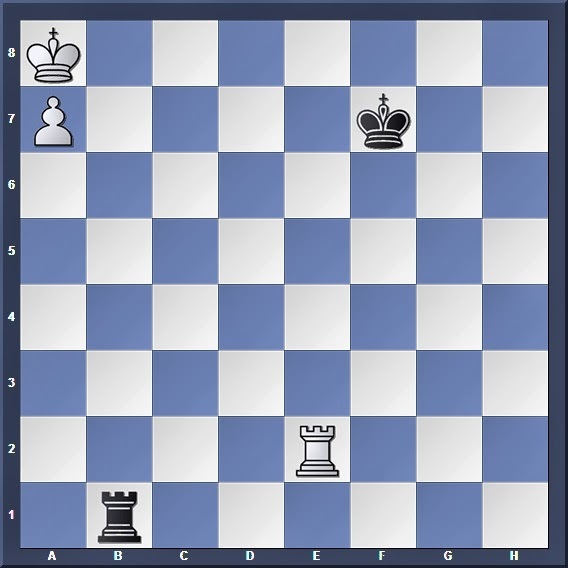 The position speaks for itself-- the rook pawn is all the way to the side of the board, the White king can only hope to step out of one side of the pawn shelter (because there's no other side!) and that side is being shadowed by Black's king. 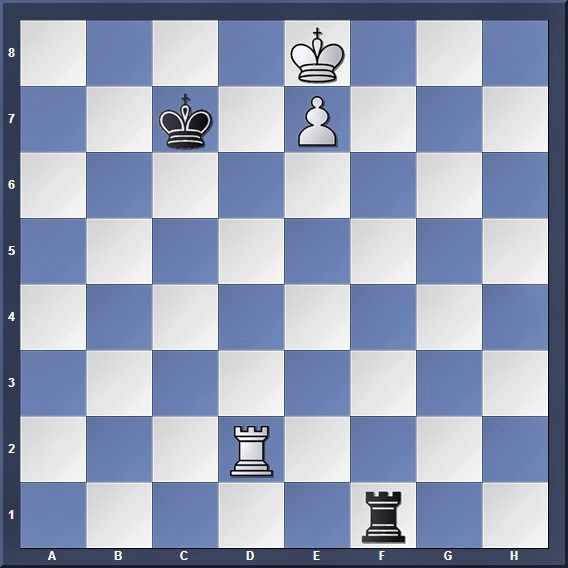 So let's say it is Black to move, then all he needs to do will be to play 1... Rc1 blocking any irritating checks, and after 2. Rb7+ (or 2. Rh2 Kc8 3. Rh8+ Kc7) Kc8 3. Rb8+ Kc7 it is quite clear that Black can just shuffle between c7 and c8, and White's king is trapped behind the pawn shelter. -An attempt to "build a bridge" with 2. Rc4 fails to 2... Rb1, as the only way out for the White king is via the b-file (the pain of being at the side of the board!) which is under fire from the Black rook. Next we're going to see why cutting off the weaker side's king by three files isn't enough to force a win. 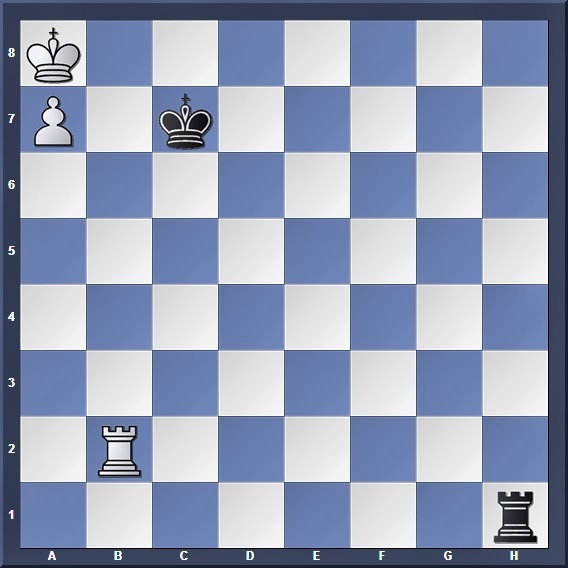 I'll skip the position with two files; once we've learned the method to force a draw with the king three files away, then the position with two files should be quite intuitive. 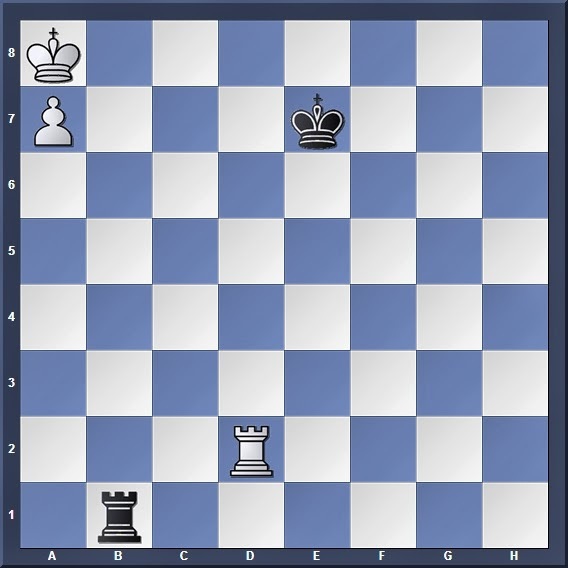 Similar to a real Lucena the Black rook prevents White's king from venturing out of the pawn shelter; and believe it or not, Black's king is still close enough to help his rook! Once again, White cannot hope to build a bridge with 1. Rd4 (or as a matter of fact, any other move!) since the only way out for the White king is via the b-file, which is controlled by Black. And now we have a position resembling that of our first example, where Black can simply play 5... Rc1 to block any annoying checks. Similar to our first position, Black can now just shuffle along c7 and c8 and White's king can never hope to leave the pawn shelter. Now that we've learned how such a position is a easy draw for the weaker side with three files or less, lets look at the real thing-- when the weaker side's king is four files away from the pawn! White's plan is to chase Black's rook off the b-file by getting his own rook to b8, so that his king can safely leave the pawn shelter. However, the method is not as easy as you may think, so hold on tight! And the second task is complete, but White's troubles aren't over yet! 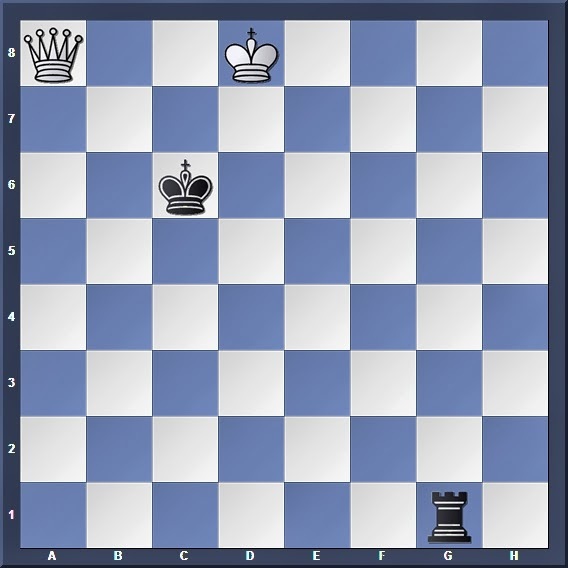 And so here we have, the "Lucena" with a rook pawn endgame. The message to take away is simple: Such a position is a win for the stronger side only if the weaker side's king is cut off by four or more files from the opposing pawn. Of course, the details and methods to force such a win (or forcing the draw if there are three files or less) have already been explained above, so feel free to read through it again.